W've made it through another year of sewing, quilting, fabric shopping, chatting, sharing and meeting. We're grateful for the former board members and happy to introduce a new board, with familiar faces, for 2016. From left to right: Elizabeth Hartman, Petra Anderson, Violet Craft, Heather Davidson, Kathryn Schmidt, and Denise Shoop. Thanks for volunteering, ladies, and we're all thrilled to see what's coming next for the guild! Portland Modern Quilt Guild is in rotation with the Seatlle MQG and Vancouver MQG, to have a special installment at the Northwest Quilting Expo and 2015 is our year! 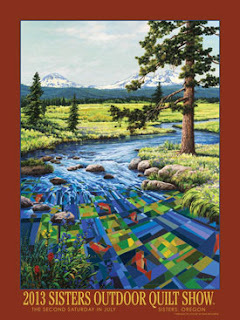 The NW Quilting Expo runs September 24-26, 2015. More information on the show can be found here. This year PMQG has space to show around 50 quilts! This will be a great opportunity to show off our group's modern quilting work, so please consider making/finishing a quilt for this show! We will be taking entries from PMQG members starting June 15 through August 1, 2015 for the special PMQG quilt section. To Enter: 1. Must be a PMQG member 2. Send an Email Entry for EACH quilt you enter to: gweiss23@gmail.com between June 15 - August 1, 2015 with PMQG at NWQE 2015 in the subject line. 3. Each member can enter up to (3) quilts. 4. Each email entry must include: a) Your first and last name b) Name of your quilt c) Width and Length of your quilt in inches d) 2 photos in .jpg, .png, or .gif format: One full quilt / One close-up - “photos should be no larger than 1000 pixels” e) A description of your quilt, and what (to you) makes it Modern. f) Contact phone # - this is optional since we’ll have your email address but it makes for quick communication if need be. 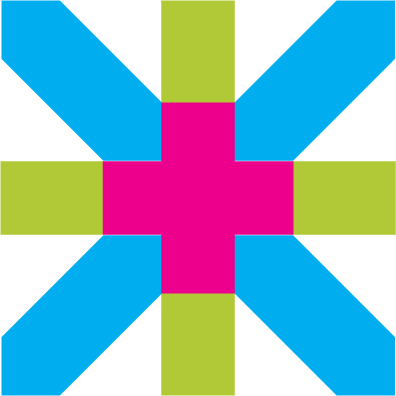 A jury will be chosen and they will pick the best 50 modern quilts from the submissions. Jury information will be posted here as soon as details are confirmed. Entrants will be notified by August 5th. 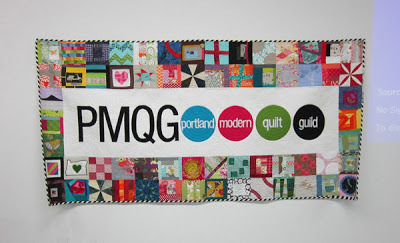 If your quilt is chosen to be a part of the PMQG installment, a registration form will need to be submitted by August 15 to NWQE - no payment necessary - with "PMQG written in as the category. A 4” sleeve will need to be attached to the back (it can be temporary) for hanging. You would deliver (by Sept 22) & pick up your own quilt from The Pine Needle in Lake Oswego or at A Common Thread in SW Portland. 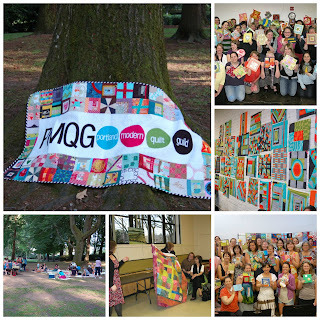 If your quilt is NOT chosen for this PMQG installment, please enter it in the main part of the show! 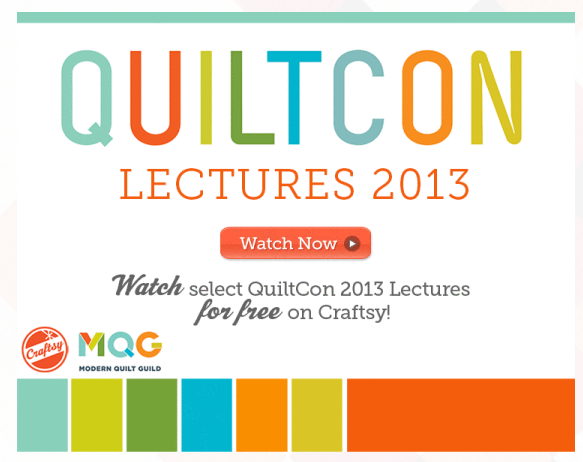 It’s always great to see PMQG member quilts throughout the show! Time to start quilting if you haven’t already! 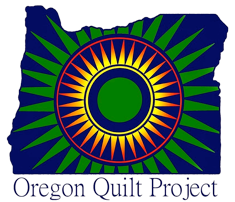 There is a new Quilt Guild starting in Gresham. The first meeting will be Tuesday, June 9, at 7:00 p.m. It will meet every Tuesday of each month, 7:00 pm at Trinity Lutheran Church, 507 W. Powell Blvd. (corner of Eastman Parkway & Powell). Enter on the Northside of the building. Plenty of parking! 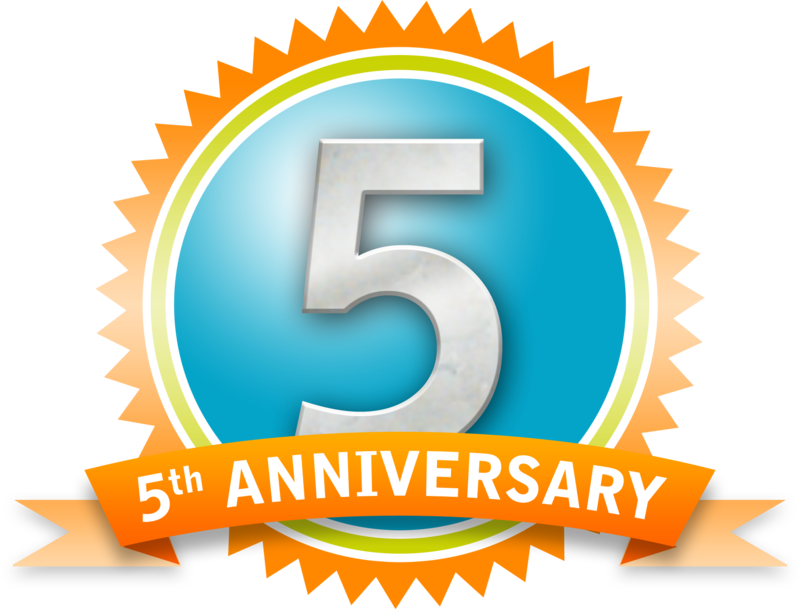 We can't wait to see you again and celebrate our FIFTH anniversary. Can you believe it's been that long? And look how far we've come! We will be celebrating this Thursday with cake (provided by the PMQG) and lots of other snacks and goodies (provided by you). 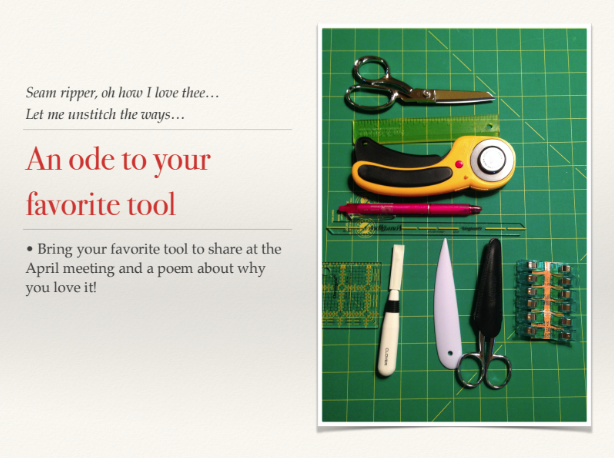 Plus we'll be sharing our Ode to Tools! We couldn't be the quilters we are without them, right? Come tell us which have been life changers and life savers. When: April 16, 2015 7:00 p.m. Your quilts for show and tell, of course! Guests Guests and non-members are welcome at the guild meeting. Guests are free for the first visit; $5 for each visit after that. Modern Domestic Discount Modern Domestic is celebrating their fifth anniversary, too, so stop by and wish them well before the meeting! As usual, they will offer PMQG members 20% off their purchase on Thursday. They'll also be open until 7 p.m at 1408 NE Alberta St.
Have you been wanting to learn about bag making? 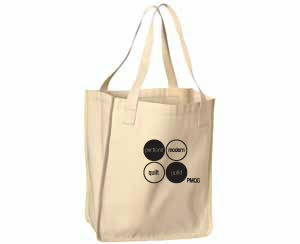 Well, you're in luck, since the Summer of 2015 will be the Summer of Bags for PMQG! In just two weekend classes you can learn to make an Amy Butler Weekender Bag with Kimberly Lumapas, and later in the summer in one weekend class you can learn to make a modified Letty Bag with Sam Hunter! 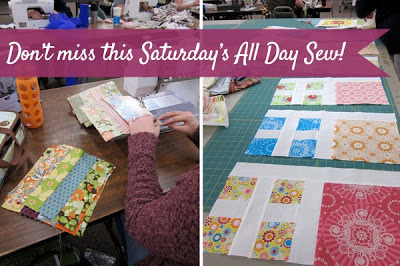 Read on for details on the Weekender workshop, and stay tuned next month for info on the Letty Bag workshop (Sat, July 25th if you want to save the date)! Class Description: Travel in style and make your own Weekender Bag! In this 2 day, 12 hour workshop, we will be making the Amy Butler Weekender Bag. This bag is considered to be the Mt. Everest of bag making by many sewers. While it's not quite that difficult, we will be making a quality piece of luggage that will last you for years to come, while learning many techniques that will aid you in your sewing journey.from amybutlerdesign.com: Finished Dimensions for the Weekender Travel Bag: 14” wide across the top of the bag and 17” wide across the bottom x 14 1/2” tall x 7 1/2” deep"
Please note, that in order to finish your bag by the end of the workshop, you will need to come to the first session with all materials pre-cut. A supply list will be sent once you have paid for the workshop. Sign-ups will open below on Monday, April 6th at 10 am. Sign-ups will be open to PMQG members only until May 1st, at which point if the workshop is not sold out then it will open to non members. After attendees sign up for workshop they will be emailed a confirmation email. When attendees have paid for workshop they will be emailed a class supply list and directions to pre-cut fabrics before class. Here are the full announcements from the December Meeting. Slide show may take a moment to load. Here are the full announcement slides from the November meeting. Slides may take a minute to load. These are the full slides from our October Meeting. Slides may take a moment to load and may not be viewable on mobile devices. Here are the full slides of July's meeting announcements. They may take a moment to load. Here are the complete slides from June's Meeting. They may take a moment to load. Here are the full announcements from May's meeting. They may take a moment to load. The Medallion Along instructions will be posted shortly. Here are the full slides from April's meeting. They may take a moment to load. Here are the full slides for all the announcements from the meeting. So was that a fun meeting or what? Wow! It was jam packed with over 100 members and guests -- our little room was bursting at the seams! It was our 3rd anniversary -- Happy Anniversary PMQG! We started with a few business announcements. Jolene Knight of Good Knight Quilts has put our first guild membership directory together. We are finalizing some details and it will be emailed out to members in the next week or so. Thank you Jolene! Many members signed up to help with our newly formed committees. We have so much planned for this year and we will need as much help as possible! Plus it is fun to volunteer. Who knows what it will lead to (hmm, we will need new board members in 2014...!) We would love to have a member or two volunteer to help with membership. Please email or leave a comment if you are interested. We still have spots available for quilts for our first PMQG Quilt Documentation Day, April 12th from 1-4pm. Fill out the form to reserve your spot and Susan Beal, our guild historian will get back to you with more information. We will also be using that space to review the first draft of our guild's bylaws which Cathy Fowler is spearheading. If you haven't filled out part two of our bylaw survey there is till time before she compiles all the information. The location is Shaking the Tree 1407 SE Stark St. We will be heading over to Enso Winery which is across the street for happy hour around 6pm. Please join us for that too! 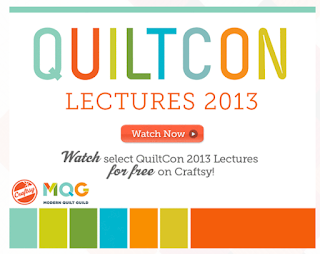 The MQG announced at QuiltCon that it is offering guilds membership starting in July for the remaining half of 2013 or in December for 2014. There are many benefits including 501(c)3 status, a CRM website and discounts on MQG events, Our guild will review the details and vote on whether we join in July or December at our next meeting in April. There is lots of excitement surrounding Quilt Market, which will be in Portland this year. PMQG is teaming up with Modern Domestic to bring our members some amazing classes and possibly a party. So far we have confirmed a class with Jacquie Gering on Wednesday, May 15th and two sessions with Carolyn Friedlander on Monday, May 20th. PMQG members will get priority registration and a 10% discount. 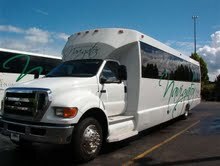 We can't wait to finalize all the details so we can share them with you! Pencil it in! August 15th - 18th in Portland, Or. We are super excited to announce our latest challenge: Neons and Neutrals sponsored by Michael Miller Fabrics. You get to create a block or accessory or both to show at our April meeting. Each member got 10 fat eights of Michael Miller solid neons, neon dots and Cotton Couture neutrals. Make sure to pre-wash the solid neons. Blocks: Make your blocks 12.5" (12" finished) by whatever your choose. We will assemble a group quilt(s) from there. Accessories: Your choice of accessory: purse, pouch, bag, etc. -- pieced, quilted or both. This is yours to keep. Monica Soloria-Snow (aka Happy Zombie) hosted our BOM this month. We will be making her 'Round the Rosie' block which was originally featured in Quiltmakers 100 Blocks and was recently reissued. She did a wonderful tutorial on her blog. Thank you Monica! Stay tuned for a recap of our Presentations and Show and Tell. It was great to see so many members at our February meeting! 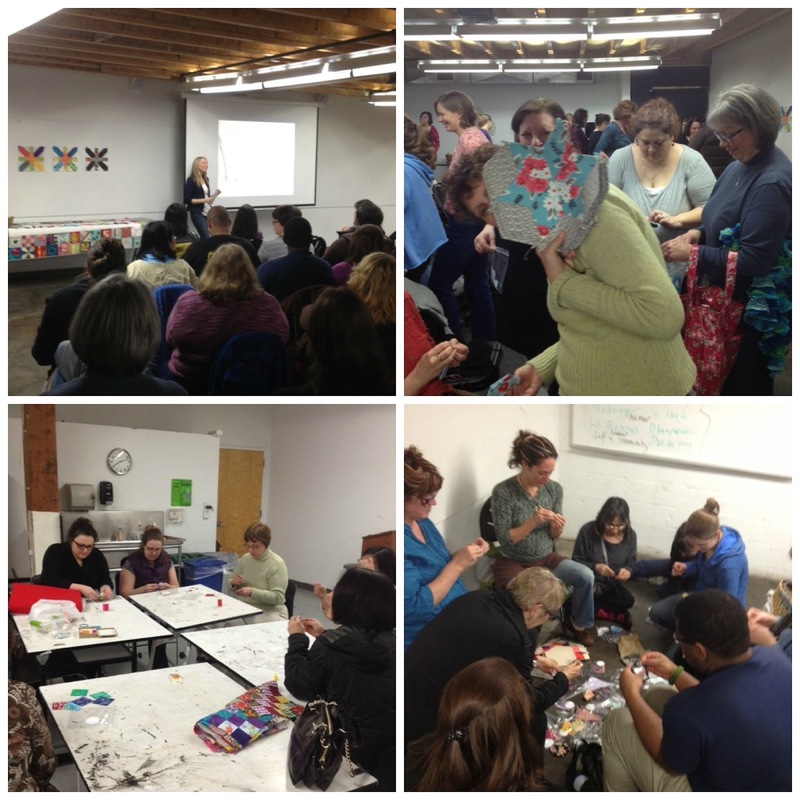 It was a fun night both at our meeting and following the Instagram QuiltCon posts from our members in Austin. Just as our meeting was starting we were excited to learn that four of our PMQG members had won awards for their quilts! Congratulations to Monica Solorio-Snow (RonQuilt: The Ron Swanson Quilt, 1st Place, Piecing - Large Quilts), Heather Davidson (Retro Modern Shapes, 3rd Place, Applique - Large Quilts), Megan Dye (Trajectory #2, 1st Place, Use of Negative Space - Large Quilts), Katie Sciarrino (Hannah, 3rd Place, Modern Traditionalism - Large Quilts). 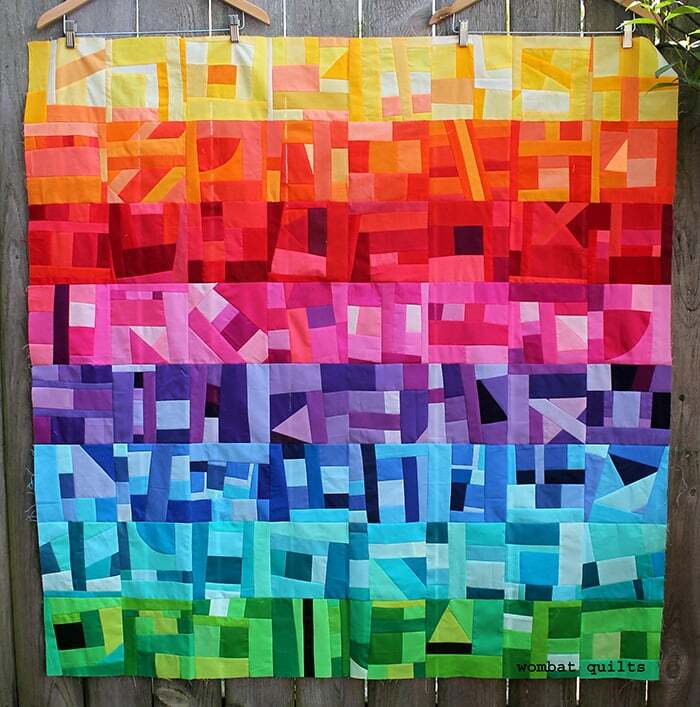 Read more about the quilts on the Modern Quilt Guild Blog. PMQG is now offering Business Memberships. This was suggested by a member of our business community and it has been a big hit! Welcome to the PMQG Family Cool Cottons, Just Quilting, Modern Domestic, SewPo, Bill Volckening, Quilt Appraisals, Good Night Quilts, and the Bear Creek Quilting Company. We look forward to learning more about your businesses in the up coming months. And a warm PMQG Shout-Out to our Business Sponsors. These businesses offer generous discounts to our guild members: Bolt Fabric Boutique, Joann Fabrics, Lark Cottons, Modern Domestic, Pendelton Woolen Mill Store, PNCA, Sew, Mama, Sew, and SewPo. Be sure to call PNCA if you plan to register for a class in order to get your membership discount. We are thrilled to announce Brittany has scheduled monthly Sew Days for our guild on the 1st Saturday of every month at Fabric Depot. Next up: March 2nd (oops! That was last weekend! Next one is April 6th.) 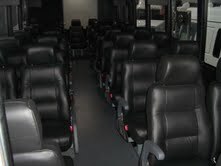 It is always 9am to 9pm; PMQG members are free and guests are only $10. Not sure what to sew? Bring your Puzzle Blocks or request some from Mary Ann. She has lots of projects waiting for an adoptive home. PMQG Swag! T-shirts, Hoodies, Totes -- oh my! a big PMQG thank you to Gail Weiss and Phantom Chicken Screen Printing for printing up some super cool products to show off our guild pride! And just because she is so awesome, All proceeds from sales go to PMQG! Watch facebook for an announcement for her next scheduled print date: you can order anytime by clicking our fancy Swag button on the right side of our blog or on this link: Phantom Chicken PMQG Swag. Friday, April 12th, 1-6pm, happy hour afterwards. (Location is still being determined) Save the date for our first Quilt Documentation and Bylaw meeting. Susan Beal and Bill Volckening are teaming up to document and photograph your quilts. There will be a small fee of $15 per quilt to cover the costs of formally entering the quilts into the Oregon Quilt Project. You can sign up now on our new Documentation page. With regards to our Bylaws, forty-two of you filled out our Bylaw Survey Part 1 (thank you!) and we have posted the Bylaw Survey Part 2 which will be up throughout the month of March. Your feedback is pivotal to determining the best structure for our guild and we just learned that we will be able to become a 501(c)3 thanks to the Modern Quilt Guild as soon as July, so it is also necessary in order to move forward with that! More details about that at our March meeting. Portland, Oregon. We are in the very beginning stages of planning this so more details and plenty of volunteering opportunities to come! February BOM Kim presented our February BOM the X Plus Block. This has been buzzing on Instagram lately and we wanted to join in the fun. Cutting details, layout diagram, tutorial and history of this block can be found on our BOM page by clicking on the block link or you can also get there from here: Feb BOM. We are also starting to see our first Bee Quilts made with our Jan BOM blocks to give. Way to go folks! 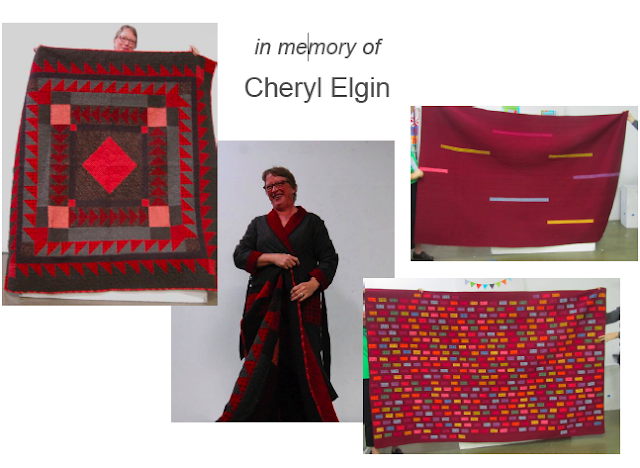 Sadly we had our first member memorial and took a moment to remember Cheryl Elgin. Her daughter and close friend were at our meeting to share Cheryl's last quilt and we were grateful for their lovely personal memories they shared with us. Peace be with the Elgin family and friends in your time of loss. We were fortunate to have Christina Lane, aka The Sometimes Crafter, join us for a reprise of her presentation Adventures in Hexagons now re-fashioned as Adventures in English Paper Piecing. She shared many of her techniques in a detailed slide show with beautiful photographic images. Here is the link to her tutorial for how to stitch hexagons. Her first book, Quilting Happiness, which she co-authored with Diane Gilleland of Crafty Pod is coming out this summer and we can't wait to get our hands on it! To compliment her presentation, guild members Gail Weiss (I Think Sew), Christina Camelli (A Few Scraps), Elsa Hart (A Fine Line) and Teresa Coats (Crinkle Dreams) lead small groups of members on a guided tour of paper piecing techniques. It was so much fun to learn all their different techniques and secrets! 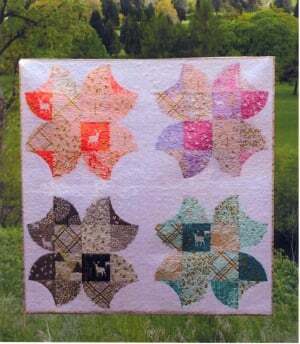 Christina has a fun paper piecing QAL on her blog: check that out here Sprockets Quilt Along. And extra points for guessing correctly who is behind that quilt block in the upper-right photo in the collage. She must have been feeling overwhelmed by the swarms of paparazzi! Stay tuned for details about our 3rd Anniversary Meeting next month. We are planning a Quilt Con Recap, a new Michael Miller Challenge, some terrific giveaways and much more! 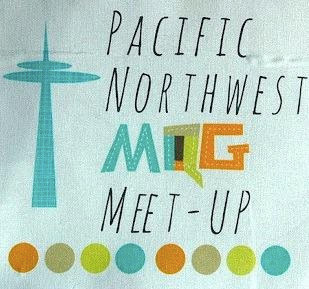 Our next guild meeting will be March 21st at PNCA.